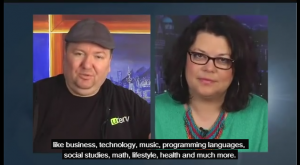 This is my RomPost Tv interview that aired Saturday, May 10th 2014, 1 pm PST on OMNI Tv & Bell / satellite in Canada. I have also a TV ad running on this program. 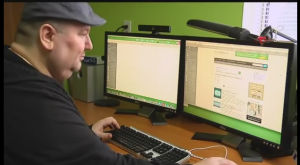 ROMPOST TV aired weekly on OMNI Cable 8, B.C. Lower Mainland. Cable 10 on Vancouver Island. Free over the air, UHF Channel 42. CH 254, Bell ExpressVu subscribers nationally across Canada. Reporter – Welcome to a new edition of our ROMPOST TV program! The idea of distance learning it’s not new. But today’s modern technology gives people an unprecedented access to education in every possible area of interest. The advantages of these online courses are indisputable. It’s our pleasure to talk today with our guest Lucian Mihailescu, Marketing Affiliate for the online educational platform Udemy. He will answer a few questions. First of all, welcome to Rompost TV studio! First question: what is your background and how did you get involved in education? Guest – I believe education is part of me. I was a computer science teacher for four years in Slobozia (Romania), then coming to Canada I take care of some educational websites. Also I presented diverse internet workshops in Vancouver, Kelowna, Hope & other locations. Reporter – We talked a bit earlier of the advantages and disadvantages of online education. What is your opinion about this education style? Guest: In the last few years we could observe a much more intense activity related to online education. This so called MOOC — Massive Open Online Courses — is a movement which promotes online education outside the traditional universities. There are many website like Coursera, Udemy, Linda, Skillfeed, and Skillshare which bring online courses to students wherever they are, on their computer or mobile devices. It is estimated that 6 millions of US students take at least one online course today and some universities accept these courses as credits. Reporter – For all our viewers, what is Udemy and what are the benefits of this online educational platform? Guest – Udemy means “The Academy of You”. Udemy is the largest online educational platform today with 2.5 million users and more than 14,000 online courses (*). Udemy is a marketplace where anyone can publish courses, to sell courses or offer them for free. 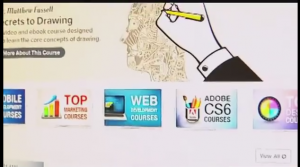 Udemy is also a place where you can promote these online courses as an affiliate. For all the students who take these courses, Udemy offers a large variety on almost any subject you can think off, like business, technology, music, programming languages, social studies, math, lifestyle, health and much more. Reporter – A part of our viewers are newcomers to Canada. How can Udemy platform help the new Canadian immigrants? Guest – Udemy offers a completion certificate. All students and new immigrants especially, can improve their skills or learn new skills. Many who take Udemy courses say that these courses helped them later to find a job. Another important aspect is that you can study the course anywhere, using the mentioned iPhone, iPad & Android apps available from Udemy. You can learn these courses whenever you want and at your own pace, you can watch videos, or ask the instructor questions etc. I even met Romanian instructors, students & affiliates. Some courses are free, some are discounted — Udemy has general discounts from time to time – and instructors can give their students specific deals. Reporter – We will conclude our dialog with this question: what is your personal experience with Udemy platform? Guest – I learned about Udemy in 2011, when I bought a first course, about how to make iPhone apps. I found out that this online platform was founded in 2010 by three young people originary from Turkey. Their team started the project in San Francisco and then it grew in what it is today. I liked what I found: the Udemy’s course diversity. Then I found out that you can promote Udemy’s courses, so I became an Udemy affiliate and I promote their courses since 2011. These courses helped me personally and help others. Working with Udemy I discovered that Udemy team is very helpful & prompt in answering instructor, student and affiliate questions, either by email or in the online forums. 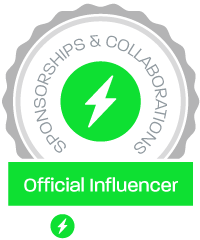 I have a very good collaboration with Udemy team, especially related to the Affiliate Program, where I communicate with Jess Harvey, the Udemy Affiliate Program Manager. I take care of an unofficial affiliate forum which brings together people interested in Udemy Affiliate Program. Generally, on Udemy you can learn all the time and I encourage those interested in education to take a look on these novelties. Reporter – Thank you, Mr. Mihailescu for your presence in our studios. We’ll be back with more news after these promos. (*) This interview was recorded in April 2014. As of May 2014, Udemy reported 3 millions users and more than 16,000 online courses in 10 languages, with 8000+ instructors.